Work for Vtiger All-In-One CRM? Learning about Vtiger All-In-One CRM? "Global vision of customer service"
The ease of importing data within the system and also exporting to other places is noteworthy. In many programs the problem is that it is difficult to move or modify the data, but here, that task is really easy and avoids having to insert them manually. The notifications through the calendar allow to be informed about any change or modification that has been made and also the tasks that are pending for future events. There is a wide customization in the different sections of the program, which allows you to adapt its functionality to your interests. You can for example adapt the ticket system to the needs of your company. I think your only problem is linked to the marketing area, since it is somewhat limited to create more robust campaigns. The area of the templates and the edition of electronic mails within the system should be better. When looking for a CRM you want it to be powerful, efficient and not very difficult to use. Vtiger is a CRM with a good integration in different areas and besides having many tools it is not difficult to adapt to its use. Now we track conversions much more efficiently, since we know where they come from, we know the details of the customers, the place and much more information that helps us improve profitability when making a sale. On the other hand it is important to highlight that the customer database is much wider than it was before, since we have been able to expand our business through the tools offered by the platform and we have managed to create a more loyal user base . Vtiger always help me to get my data very easily & even vtiger 360 is always help me keep my data upto date even with help of mobile. Vtiger always help me pull my old data & file last two years. Vtiger calendar always remind me to keep my next week & last week plan with notifications, even those on time. currently i don't feel in dislike quality, its my very genuine review. as per daily user of vtiger i really don't feel any dislike, because for daily data filling its always keep easy track. Yes i already share to my professional friends & even i told the customers you can use such kind of software is very useful and mostly very easy to use, & you can keep all your data up to date. its very comfartable & secure CRM software. As i am on service field engineer we do have to put our data up to date and vtiger always helps me to keep my data up to date. even sometime i have to send my data to my seniors just with help reports i can send those data very easily to my seniors. even for next & last planning done very easily, even if my plan cancelled or change or i need to reopen the my service contract its very easy to do same & one more is ticketing method, i really like this idea its very useful to keep record by watching open & close tickets. "One of the easiest CRM's to use!" I have been using Vtiger for 3 years. I love how easy it is to create templates for marketing and quotes. The report generator is very flexible. I can get daily/weekly/monthly reports on existing opportunities and where they are in the sales funnel. This product does everything we need it to do! Every once in a while, when creating templates, I get error messages that are cryptic and hard to figure out what they mean. When that happens, the support staff is quick to respond to my inquiries. I have used many different CRM's. The thing I love about Vtiger is that for company, it takes care of all the things we need: inventory levels and quoting, follow up reminders, in-depth reporting and analytics. Overall, a great product! Staying on top of incoming leads by being reminded to make follow up calls. Better control over our inventory management by tracking current levels. Better sales force management by seeing what everyone is doing via the dashboard. The possibility to connects products, clients, contacts and you can always change for your best convenience all the tabs. I like also the possibility to create presentations of our products to send to our clients in a really easy way. I don't think I have something that I dislike, because right now for us this program is a big help. We are still improving all the system for our benefit. It's really helpful the possibility to change many settings for your best convenience. Maybe would be better have the possibility to change the currency more openly and with the converter aligned with the current rate exchange. Be sure to set up everything you need before upload the most of your products, in order to avoid the recheck and correction later. Anyway is really easy to upload CSV etc so do not worry if you miss something! At the moment we are still improving our platform, but Vtiger is helping us incredibly because we have very different products with different provenience and we need to track them down every time and know where they are stocked or where they come from. With VTiger we are now ordering everything in a very planned and good manner in order to not loose any item. And right now we have more time to collect more informations about our contacts and clients who are interested in them, thanks to the possibility of internal connections, to improve our selling. The Best thing about Vtiger CRM is that you can customize it as per the requirement. There is rarely any downtime or maintenance issue. And the response time of the service team is also very good. There is particularly one feature I would like to add is about the Kanban View, this feature has helped us alot. I would recommend this if anybody wants to set up an organized Sales Process in his organization. Live Chat option available within the CRM is a very good facility provided by the Vtiger CRM Team. The only thing which they lack is the tutorial videos with the upgraded versions. Video Tutorials are available on youtube but all these are of the oldest versions. It would take a while to understand the tutorials. vtiger has helped us to streamline our Sales Process. Mobile App of Vtiger has enabled our Sales persons to updated the information on the spot. Setting up meetings with the desired contacts and Making Quotes from CRM to the clients. We have been a vTiger user now for over 5 years and absolutely love the power and flexibility that vTiger has provided our company. One of the key elements we have come to love about vTiger is its ease of use and scaleability for managing our leads and customers. If there is something we need vTIger to do or track it is very rare that is is not capable of meeting and even exceeding our needs. We have found that the projects management feature is a bit clunky and challenging to use. We wish that task creation and around projects could be improved and simplified. Our IT and supports team have found it lacking and challenging to use and would like to see a number of improvements around how tasks and milestones can be created and attached to projects, and how the automation for these could be improved. I would recommend anyone considering a CRM to seriously consider trying vTiger out! From it's features, ease of use and pricing I feel it is one of the top CRM solutions on the market! We have solved how we manage, track and followup with leads and opportunities which prior to us having vTiger was a huge struggle for us. The powerful reminders, task feature and ability too add custom fields and workflows has allowed us to better stay on top of the leads and opportunities we have and for us to be more informed on what needs to be done. It has also helped with intracompany communication regarding all of the above and to be able see everything in one place. "It's so easy and flexible to manage your business." I like the report module. I can make various chart reports and pin on the dashboard is very useful for watching our business status changing anytime. And I like the module layout & field too. It's great for me can easily modify module layout& field for our need anytime. Another useful tool is module builder that can make any module I want. The localization issue bothers me many years. Some Vtiger module functional can't work for our country language (Traditional Chinese Language). I like to labels editor, but it can't import/export Langue Pack file. I think that is very unuseful. If it has this function will be easy to keep translate correct and fast. Sometimes I can't save or mass edit. This is too bad for Vtiger language issue. I believe the Vtiger is a global software. Localization is needed and very important. Just try it then you will love it. But maybe you need to understand CRM how to help your business. You will find Vtiger All-In-One is very friendly and easy to use. Their support is also good. I need to reduce manual reminding our customer to renew their product contract. I make an auto flow to solver this repeat job. Then I find auto flow can help to save our time and money. And the campaigns module is very useful too for make marketing event. Vtiger all-in-one benefits is very flexible and friendly. "vTiger Cloud is not the same as vTiger on-prem installation"
Lack of clear examples and how-to guides for advanced topics such as API, mailer configurations. Help describes what you see on the screen, not too much of gaining from it. Cloud version of vTiger is definitely stripped down variant of vTiger on-prem. Expect no ability to modify backend in any way, API is the only way to customize anything. Number of API calls is limited per-user-per-day. You really-really have to try to find a decent set of examples to make things work in API. No matter how much info you include into your request to support - you get a standard answer with a link which you've followed a week before you got frustrated. It takes a while till your request will be picked up by a competent engineer who can actually read what you have done and your description of outcomes. Mailer is limited, no ability to sync "sent" items if they are sent from outside of vTiger. Customer Portal does not accept rich text format (text + pics) which prohibits from sharing any knowledge via it's facility, feels very rudimentary and abandoned. This is strange because rich text format is accepted in other places of vTiger, for instance in "Cases". Make sure you find vTiger !!!Cloud!!! relevant info when you do CRM research. The most of the sources you find talk about vTiger on-prem installation which is way more advanced and configurable. Realize the limitations of vTiger Cloud before you commit. Normal sales cycle, register a prospect, opportunities, follow ups, handling support cases, closing deals, assigning assets, setting a tracking for assets to expire/expand. "is Vtiger worth the money?" The fact that it combines Marketing, Sales and Support all in one. It allows customization on each part and links it all together. There isn't only one way to get to let's say a ticket, or an invoice or contact opportunity. So fast ease of use and maneuverability. It gets pricey as you add users. If you don't need many users then it's a good fit. Also, I wish it was better at the marketing customization. Other CRM's provide plenty of templates for webforms, landing pages and emails. Vtiger is very limited so you may need to start from scratch. Over the years they have made updates that have been easier and whenever we had an issue, it was resolved quickly. there hasn't been any major interruption which is key. I believe they are heading towards the right place. Finding previous conversations held with other reps. It makes it easy to track who, what, when, where and why of every conversation held. Also being able to upload price books has helped a lot. We are a reseller for other IT hardware and software solutions so different partners means different products and prices. The price books allow you to choose the vendor or contract or anything that lists separate pricing. "A great CRM system to manage all aspects of the Customer life-cycle"
vTiger is a very flexible solution which covers many of the areas across a sales, marketing and operations perspective. If you want a solution that helps you manage your prospects, sales pipeline, quoting, order delivery and invoicing then its for you. It is highly configurable and how some very powerful workflows that will help automate aspects of your processes (e.g. sending invoices/ managing renewals). It has capabilities that help in all these areas that ensures there is a single platform to manage the full Customer life cycle and better collaboration across different departments. The key objective we had was to ensure that our CRM solution was at the centre of the marketing and sales functions and supports our downstream uses of the data (i.e. order fulfilment, finance and reporting), replacing any other systems or repositories in order to provide real time management information. Having a single system to capture all Customer related information meant we could achieve better visibility of all our processes through the entire quote to bill life cycle, ensuring we could maximise our customer engagement and provide a better quality of service). Vtiger All-In-One CRM has allowed us to achieve this and we can leverage its available features to improve our operations on an ongoing basis. What I like most about vtiger, is the speed of the application, and the apps in ios, which I think are fantastic, and at the moment I do not have any complaints, sometimes as in this form they force me to write more than what I wish, but hey, I understand that it is good, I will copy it for my people, because I see it useful. The main problem that I am solving is the organization, of all the key activities of the company, although I recognize that I need more training, to be able to take full advantage of this magnificent tool. I've been testing the free version, a long time and after I've decided on the payment, especially for mobile applications, I'm delighted. I was introduced to Vtiger over 8 years ago, the free version, and left that company. When I started at this company we were using another CRM which was just a drag. We then compared several different options and eventually settled for CRM on Demand from Vtiger. CRM was just a database tool when we started it, and just short of 2 years later it has become the only tool in all our departments, even replacing several google sheets and physical paper systems we were using. Vtiger now offers us a single point of view of our clients, their details, all documents related to that client, who the agent is that brought us that client, the revenue and cost of each client, either from the start or over designated period, profitibility of clients in region, notifications for upgrades, follow ups, clients visits, amount of visits to client, from a targets points of view we can see where we are with our targets any day of the month, and our pipeline. All our support cases is handled on Vtiger, projects, sales, which allows us to report on absolutely anything of any client. When I sit infront of a client I can pull of their entire history, from support cases, to sales, support, billing, the implementation of their project, including time lines. This is by far the most important tool and has saved me hours upon hours of excel / sheet reporting, with considerably more accurate information. Information is accurately shared across several departments, which has saved us alot of time across all the departments. One thing I would like to see is the ability to report across more modules. There has been a few limitations, which I have mostly been able to get around. I have not kept record of this, as mostly I have found a way around it. The limit on workflows is a downside for us, we will be upgrading to accommodate more workflows as we will be adding one of our other offices in another city, then we will need considerably more workflows to accommodate them as well. We used an external consultant at first, who didnt understand Vtiger as well as we do now, nor did he understand our business that well, which delayed full implementation of VT. If you are using an external consultant, make sure they are well educated with Vtiger and understand business processes, and make sure you have them on retainer so that they can do what you need them to when you need them to do it. If they dont fulfill your requirements, make sure you speak to Vtiger, their support is fantastic and has never disappointed me. Client Database that is accurate, shared across all departments. Project Plans for every installation is all captured on Vtiger. All Contracts and Services is loaded on Vtiger, which means any clients contract terms, revenue and remaining period can be seen all at a glance. There is not a single piece of information not available to us on every client, at any point. Access to detailed information of every client within geographic locations is a big win for us. "All you need in Business!" being able to save invoice when there is no stock is the worst, :) :) actually possible to fix it though but don't know why not yet! "VTiger for use with multiple product support"
Ticket creation and management is streamlined and organized. Customization is robust. We use VTiger to manage 4/5 separate platforms to great effect. Some of the clients cross over into other platforms and it is easy to note. We enjoy Vtiger. My main problem is with the follow up part of tickets and the actual ticketing board. I would like there to be a few more indicators for where a ticket is at that automatically populates after certain time lengths. If you need a robust CRM, Vtiger is it. The ability to keep all of our tickets for multiple products in one place is greatly beneficial to us. The ability to create separate boards and status' for departments and individuals and shuffle things around so they get to the right place even with so many products is awesome. "the Vtiger product is GREAT!!" I have found the program to be intuitive and easy to use. Whenever I have had questions, the support team has been extremely responsive and helpful! I've used many different CRM's, and the Vtiger product accomplishes everything I need it to do: Inventory and quoting, reporting, analytics, lead generation and follow up, Opportunity awareness, sales funnel generation and tracking. I would like to see an "off-line" mode or feature where I can sync once a day. This would be useful for when I do not have reliable internet connectivity. I have used: Goldmine, Maximizer, Act!, Saleslogix, Salesforce.com. Of all of them, I like Vtiger the most. The CRM portion is allowing me to stay current with my customers. The quoting and tie in with DocuSign makes the ability to get documents back quickly a breeze. I like that Vtiger is dynamic, and there are regularly coming new features there doing that my work become more easier. I am very pleased that the Vtiger can work together with my phone system, same for the mobile app, just use contacts and get generated a option to log information about the call. It is very little as I get help from the support when needed. If I shall point finger, then it will be nice with online training before new features is implemented. The Support Team is there for you, any help they feed you with the information you need to continue in a short time. I have request some functions for a specific set-up for my needs, support assist with my configuration and later it had been implemented in the Vtiger. So if you can find what you need, it can be fixed just ask the support team. Support case and tickets had been the top one use of the Vtiger, special the customer portal had been very useful. Followed by the creating a fast quotation and invoice when I'm at customer site. "Awesome VTIGER Customer Success Team"
It is the best CRM that I have ever used. Very user friendly and accurate. We can modify the reports and data as per our convenience, which is a plus point. Vtiger makes sure that it works according to our way. Nothing to Dislike. It is perfect. Every organization should take VTIGER into consideration. We are making quotations on daily basis. It has solve the issue of preparing quotes manually. We track all the leads generated in Vtiger. No more excel work. And in any case if we want the data in an excel format we can easily export the same trough the software. We can make presentations on Vtiger, no need of handling PPT anymore. There are so many reports that we extract from Vtiger itself. "Like a fine wine, vTiger just get's better each year!" If you need to do it, vTiger has the option. This CRM has been improved to address the needs of many industries. We use vTiger for research and sales and marketing. My only complaint is that I sometimes need to ask the very polite support staff to "say it again" due to the accent from India. I have never had a single time when I could not get my question answered and they all speak English very well. They just are incredibly smart and talk fast too. You will not be disappointed in vTiger. Recursos como a organização e extração de dados, notificações e calendário são bastante úteis no dia a dia. A criação de modelos e relatórios dispõem de diversas opções de customização o qual ajuda bastante na análise e informativos de marketing, inclusive com um sistema integrado de envio aos clientes. Assim como toda boa ferramenta de CRM existe um ótimo relacionamento e integração entre os cadastros de clientes, contatos, contas e demais atributos do processo. As opções de criação de campanhas de marketing são um pouco limitadas uma vez que é quase que essencial no processo de conquista de novos clientes, mas que no momento não chega a ser um grande problema, porém acredito que empresa poderia trabalhar melhor este ponto. Boa ferramenta que engloba todos os aspectos de gestão de clientes, possibilita a gestão de ações internas e externas através de relatórios, controle de atividades e indicadores de desempenho. O sistema de notificações nos mantém sempre informado sobre todos os importantes pontos do processo, com maior controle e gerenciamento dos recursos. Traz um enorme ganho de produtividade e desempenho para toda a equipe. is truly impressive and we can get very detailed in module creations. The unity that vTiger provides makes managing projects so much easier - marketing, sales and tech support all together. Definitely the price. Starting out with only 10 users evaluating it, then moving up, It only got pricier. We also had trouble using the project manager. As a PM, this has delayed start times. Adding tasks and milestones is not as easy as it could be. Workfront was better with that for us. I liked using vTiger. I think for a small group of employees, it is good, but not great in price for big groups. We mostly use vTiger for project management on smaller scales. We have not fully hopped on but I have moved the implementation project behind after resigning. "It's much easier to conduct business with Vtiger CRM"
With the help of this program, it was very simple and easy to plan meetings. I'm glad that the program integrates with other software and allows you to import data. The program Vtiger has a mobile application, which is always at hand. I like the functionality. You can create exactly what you need, for example leads, contacts, opportunities, etc. I'm in trouble when exporting data, but all this is fixable and not so critical. Also, notifications in the mobile application do not always work. You can try out other software, but I'm sure the ray is easier in your work than Vtiger you will not find. If you want to control your business and look for new customers then the program will help you. Vtiger helped me to become much more organized in business. I can always plan my day. Before I forget about important meetings and tasks. The mobile application allows you to manage and monitor your business in real time. "Perfect software with which we can work easily." The software is intuitive and has totally functional apps for iOS & Android. Also, I like the value of the cost of the session. Makes my work faster. When I'm using real-time map of my sales pipeline I'm sure I will not miss any good deals. I don't have any bad thoughts about that platform. I hope this platform will always help me. I like to work with all of the tools which I can use. I don't have any issues with using this solution. Actually, it is a wonderful product that brings our company into focus. I would like to say that it is really very good and interactive solution to increase all your sale system. I would like to say that it is a stabilized solution and let you pretty much capable of reach goals of the company. I recommend it to you. Perfect to have the most open and clear list of contacts which give a chance to find the correct contact. Also, we can make our job better with pre-built and custom analytics. We glad that we are holding the powerful key to increase our sales trade. "customer engagement is increased due to Vtiger CRM"
Multi channel help desk is one of the most helpful feature for me in Vtiger CRM. Customized email and notification service provided by it is very good compared to other tools. These all cannot be that good without awesome UI Vtiger has. Even I have Vtiger Beta since last few months, and I truly believe that in future updates, Vtiger become more powerful tool for CRM. Well, no issues are there in Vtiger all in one CRM so far, But I guess some AI or ML feature to predict the customer insights should be there; it can surely make the Vtiger winner in CRM world. Vtiger CRM comes with easy configuration and utilization aspect but it is not the feature rich like other similar tools. However, you can consider it if cost is much matter for you. because it has free version for try. With the help of CRM management of customer data, sales data, we also use it for generating the better visualization reports for the internal use in the organization. "The better way to our sale." I can say that it is very productive and clear platform. Wher I can know all information about people with whom I work. I can do all my working fecilities faster. Makes my work faster. An amazing simple system of tracking and recording emails or phone calls. Never had a problem with tools which I'm using all the time. Also, I don't see a problem with tracking system which really gives me a lot of help and information. With this software, you will have big organization skills. I guess it is the simple and useful platform which really will help you a lot. You can be sure that all working steps will work much better. The wonderful working process which we can show to our company. That's great that we can do monitoring on all our contacts. We are glad that with pre-built and custom analytics we are really can grow our sales system. "Vtiger CRM: a complete solution of B2B CRM"
At the initial point of using VTiger CRM, with the minimal fundamental knowledge and amazing support factor from Vtiger community help me a lot to develop my modules. In addition to that, Development of modules from starting without the burden of creating the complex workflows is great provision for me. Also, for organization like which cares for several cost factors at a time, VTiger CRM works very well in this kind of situations by providing the parallel module working support. Though basic knowledge is adequate for work with this CRM, Additional deep knowledge help a lot to create better modules. Other then that there aren't any issues I have faces till this time in VTiger CRM. On the basis of Good support, better functionalities and as an open-source tool, I would definitely suggest to try VTiger CRM for once. VTiger CRM is primarily used by our company for managing the management and prepare the comprehensive statistics regarding use of out data products by our customers. "Vtiger CRM: a comprehensive package of all CRM functions "
I like the way Vtiger provides the customization option in various utilities such as add, remove, or create our own fields, as well as making my personalized templates. Vtiger has the best approach to sharing the customer information among the authorized partner organization. Provides a lot control in our hand, gives me true power to manage the process by my own. adaptability is high; as no deep knowledge isrequired here for use this tool, documentation is quite helpful here to quickly start using the tool. To get the deeper changes, there should be someone required in the organization for management of this tool. In my case, I cannot use third party support for some feature, in Vtiger cloud hosted version. Vtiger CRM provides majority of standard features in a free version of it. So, This tool is best to try out once. We have created the lead generation module interacting with the social media platforms; which surely improves your business. "Perfect to increase our sale." The amazing way to see all my partners and customers with whom I work. Makes my work faster. I can easily to work on tracking and recording emails or calls. When I'm using real-time map of my sales pipeline I'm sure I will not miss any good deals. Perfect working software which dosen't have any bad and big problems. I like to work with all of the tools which I can use. The platform is easy to understand. Very good to have the most comfortable contact list will make your work fly. I would like to say that it is really very good and interactive solution to increase all your sale system. The software is open to understanding and easy to use. I recommend it to you. We like that we can easily find the right contact. Also, we can make the better solution with pre-built and custom analytics. We glad that we are holding the powerful key to increase our sales trade. "This is an Easy to Use and Affordbale CRM Tool"
Vtiger All-In-One CRM is an incredible customer relationship management software. The user-interface of Vtiger All-In-One CRM is easy to understand. I like it because its features are incredible and the support team never disappoints. Apart from being user-friendly, Vtiger All-In-One CRM is accurate. It is the most amazing CRM that I have ever used. Vtiger All-In-One CRM has got no major faults. It is affordable, fast to use and customer-friendly. In my opinion, Vtiger All-In-One CRM is perfect. No dislikes. I can recommend to other individuals because it is user-friendly and fast to use. I also like the support team, which is fast to cater for our queries. It will boost your marketing campaigns. Choosing Vtiger All-In-One CRM as you main CRM tool will improve the way you relate with prospects and current customers. It is truly incredible and fast. Vtiger All-In-One CRM boosts our relationship with our clients. Its amazing features makes it easy to use. It is great for boosting marketing campaigns. Due to its user-friendly nature, I like it a lot. I think every organization should consider using Vtiger All-In-One CRM because it is the most reliable CRM that will boost their relationships with their customers and potentials. Ease of use and clear navigation in customer files and related elements. Access to relevant information is fast and obvious. Sorting of the data within tabs is also a great way to look for clear information and get an overview perspective. The only issue is how complex it is to clear alerts and messages (notice). Disabling this functionality should be easier for users (not admin). You need to consider all the ++ over any other systems and the investment to return. Vtiger is affordable and easy to get empowered with, which is a key success in having a CRM... people must use it and update data. Centralize all information about customers, prospects and products. "Increase productivity and Decision Making Process"
Vtiger has helped us lot in Pipeline tracking of each Sale Person. The data can seen very easily and analysed in the software. Sale Meetings can be tracked of each person. Infact we have started marking attendance of sale person by using Vtiger software. The productivity has increase a lot of sale person. Vtiger also helped us a lot in customer satisfaction by tracking all complaints received and giving us a each complaint /request turn around time. AS overall i like the software as what we were looking it comes out in that, so overall we are happy with the software results. Its worth trying it it helps business to achieve the goals and makes decision making process easy. If you have on field sales team and it is getting difficult for you to track there daily meetings and there productivity then you should definitely try this software. The software also comes with Mobile App on Android & IOS which can be easily used by Sales Team. "One place to organize prospects and daily work." The V-tiger is excellent instrument to schedule the business visit in calendar which helps in turn to track the past meetings. The dashboard makes it so easy to view the status of the business prospects with the stages. The location logging section is not accurate. As we try to complete our meetings on the basis of location it shows little incorrect location. Vtiger gives all the information on the dashboard for the business prospects. The daily activities can be planned recorded in efficient manner. It will be instrumental in enhancing productivity by reducing tedious documentation at various locations. It is web server application and hence the risk of losing data on native comuter will be least. The problems of keeping track of the activities of the team in one view and keeping up the record of the sales prospects and leads now even keeping the communications via email concerned to specific contact in CRM are solved by this platform. The productivity have grown in good magnitude as result of this CRM due to in time organizing the time. Keeping record of the sales prospect in one place and the contacts from the organization. The vtiger is very easy to use also from service point of view i can generate all the visit reports at once for a week or month. Also it was very easy to see the day to day activity of our engineers and as they describe at the end of the day report. Also it was easy to generate service contract for the customers and keep a track of it. Like when it is likely to expiry and got the notification from vtiger about the renewal of the same. Actually their is not which i dislike in vtiger. All things works very well. I will recommend for the professionals to use the vtiger for all your office needs. You can do lot of things which you have not imagined with vtiger. Its one of the best CRM available in the market at present. Mostly we are in service provider to our customer. It was very easy to plan our visit and check the other scheduled visit and plan accordingly. "Most Procative Support and Roboust, configurable Platform"
Our company is in contact center space and we Love to use VTiger for our clients. They perhaps have the best support team to help out even for simple issues. I remember that when we were implementing it for one of our clients, we need a lot of handholding in configuring the system, and the support team did it in a breeze. It was wonderful to see that. Once all was done, the CRM works smoothly without any errors. If you are looking for a fully configurable and All in One system, which can handle Leads and Tickets with the same ease. We use it as a helpdesk solution and also Lead Management system for our clients. "Functional but could use improvements"
I like the look and feel, most of the time it is quick, and once you grasp the structure you can move around fairly quickly. The support. There is none. Most support documentation is for a different implementation that is paid. The E-Mailing system is fairly complex, we didn't implement the entire system to realize its full potential but it did appear a little clunky. Didn't seem welcoming enough to even give it a chance. On that note, when we did try to implement something and it didn't take, getting support to help you was a pain. Whereas Salesforce or even Dynamics365 you'll have a phone call with someone you can easily communicate with , within 5 minutes of a request. Confirm with the trial that it does precisely what you need it to do. CRM's can be very custom but also fail to have one or two absolutely crucial features that you need. It's a great price for what you get as long as you're willing to put in the required time to fully realize its potential in automating daily processes. Internal case documentation, client communications, and partially time tracking. Proper E-Mail tracking is extremely efficient and keeps service administration to a low. Working as a senior sysadmin in the big company, which has several offices all over the world, I can see the importance for us to effectively coordinate the teamwork and develop a unified approach to our customers. Bpm’online helped us to automate our core processes and align marketing, sales and service on a single platform. Our network team is happy with the system, they are able to manage end-to-end ticket cycle and communication with the customers via multiple channels. Our service team outlines the problem management feature, as it allows unifying similar cases into a problem, assigning agents to resolve it. Moreover, customer support managers can track the agents’ performance in terms of problem resolution efficiency. As a marketing manager, I really enjoyed the website behavior tracking function. With the help of bpm’online marketing, all the information on the pages visited by a client and the time spent on each page is sent to the system. Thus, it enables to understand the needs of a prospect better, track the most effective lead generation channels and launch trigger campaigns based on lead’s preferences. By the way, it is so easy to create a campaign now with the intuitive campaign designer and then monitor its efficiency. What is more, with vtiger, we automated our routine tasks, and now we are fully concentrated on the important issues. "VTiger for small print and embroidery shop"
What I like best is its flexibility and simple use at the end user level. Once the program is set-up, I can use drop down menus to create quotes, orders, POs and invoices quickly. I wish it was more mobile friendly so I can easily create quotes on my phone and tablet and convert to PDF to e-mail the client for approval. It works great on my laptop, but doesn't convert smoothly to my mobil devices. If I could input new companies, contacts and quotes from my phone, I would be much happier. Make sure you have someone who knows how to start the program help you. Once it's up and running, it is easy to adjust your settings as needed. I would not be in business without VTiger. It is my customer management system. I don't need to keep random files or spreadsheets of clients. I can search my clients by company, contact, transaction, date or price and all the information I need pops up. The alternative would be to try and sort everything by spreadsheets, which would not allow me to identify important clients I have not worked with in a while. "A full featured CRM without the nickel and diming of a FORCE!" A complete repository of a customer sales cycle: Leads, Marketing, Contacts, Organizations, Calendar, Pipeline management with workflows you can modify/customize for your specific business needs. There are many more modules to expand into/utilize, but the CRM functionality is exceptional. I have used Salesforce, SugarCRM, ACT!, GoldMine, and others over the course of my sales career. They all can do the job. It really comes down to how you can modify/customize to support your organization, and what is the "cost" to get that functionality? I dislike Vtiger less than the others! It is helpful if you understand data importing/exporting and have a map of data fields and needs for your industry. If you do the upfront work and understand the requirements, the solution will be ready for you to adjust any workflow modifications. As a startup, we have continuously expanded the use of the features/functions that Vtiger offers. Our number one business problem to start was Revenue production. Once the pipeline was filled, and leads converted to Opportunities, then converted to closed sales, we have expanded our use to solve other issues. Marketing. Communications with clients. Support for clients. The best functionality in my opinion is the transparency throughout the system. Any module used, as example Projects, Cases or Sales relates back to an Organisation/Customer with an easy to use form. I also love the flexibility available in creating custom modules, custom fields and using workflows from creating new records, updating fields or keeping people informed of the actions performed with any of the modules available. The user management and licensing should be more flexible. Vtiger has many functions available, it can replace various products and save both time and money. There is a trial period which I would recommend any interested party evaluate before subscribing, also there are a multitude of helpful documents and also a support team that are quick to assist with any questions. We are using it to do quotes, delivery notes, run our projects and also the biggest part for us, track and resolve customer issues. It has saved us time from working in excel sheets and also to have more satisfied customers from our support provided. The workflows and API's the best. Being able to setup automated tasks and procedures are a god-send. They are intelligent and save a lot of time. There is nothing I dislike with this CRM. It is fully featured and does everything that is needed, from the lightest of tasks to the heaviest. The only thing I dislike would be my own lack of time to discover all the possibilities with this CRM. I highly recommend vTiger to all of my clients. Please look past all of the options and focus in on what you really need. This CRM offers so much, it can be intimidating. But, they have great support and the software will do whatever you tell it to do. It is very nice to have something this flexible. The list could go on and on. Bottom line, no matter the department in business, there is a feature or function that will make your job easier, thereby making you more money. The best thing about this CRM, besides it being a mature product with years of daily improvement, is the dedication of the support team. We used to use a competitor CRM, in fact the biggest CRM out there, and they pale in comparison to VTiger in all aspects. You'd spend an arm and a leg on a monthly basis before you can even get close to what VTiger offers. The bottomline is VTiger has all the features that you'll need out of the box. If there is any customization that they may not have at this point, just let them know and you'll have it soon enough. There are some minor glitches and features that other CRMs may already have that are not available yet. But with their highly dedicated tech support team, all of these are slowly going away. Just use it - you'll feel your business becoming more and more efficient the more you use it. We are now extremely more efficient in tracking sales, resolving cases, and everything else in between. "A CRM That's a Jack of All Trades, Master of None"
I like pricing structure the most. You pay a precise amount per month for your number of users. It's simple and affordable no matter what the company size. The software is constantly in a place of repair. New features are added but may not work properly yet. There doesn't seem to be any QA process or full feature launches. It looks like improvements are made to the live product day in and day out. It can be confusing and frustrating. I would recommend not using Vtiger for Marketing efforts. The email builder is a pain, and the campaigns are difficult to manage. It's a pretty big blow to not have Sales and Marketing Wrapped up together, but I think it will save a lot of headaches to move Marketing to a better-equipped platform. We needed an all-in-one platform to manage Sales Leads while also providing customers with a client portal to interact with our operations team. 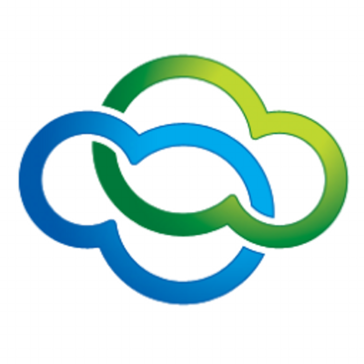 It´s cloud hosted which makes it flexible, easy to access it through any browser. You can manage all your leads, opportunities, Contacts, organizations and improve the way you comunicate with your prospects. It´s easy to integrate with social media like Twitter. You can use web-to lead forms, make and receive calls by integrating it with some PBX systems or Sip Phones. It´s awful sometimes when it updates. The last update changed a lot the user interface. Blank fields in the leads even after filling them. We have made sucessfull email campaigns, the comunication with our prospects has improved a lot, we can register when a new email is received or a call has been made, the Support Team can manage all tickets from customers. The Finace team can attach quotes and pricing lists to all opportunities. "Good, Flexible CRM for Good Price"
We are able to accomplish everything we need for managing customer interactions through vTiger. This includes our sales, support, and email marketing. The flexibility of the program to add new data fields and modules has been very useful to make the tool fit our business needs and to evolve the program over time. We extensively use workflows to make sure related records stay up to date. When bugs or issues have been reported, vTiger support has been helpful and usually has resolved our issues in a very timely manner. Pricing is a primary benefit as well. We found vTiger to be a great value and less expensive than competitive CRM and help desk solutions. solutions. Reporting across multiple modules sometimes runs into issues. It did take a while to learn the system and set it up, but we are pleased with the customization we accomplished through that setup. - Email marketing, including autoresponder campaigns. - Sales process tracking and revenue estimations. - Management insights, such as breakdown of sales opportunities by product, customer, year, etc. I like that I can track everything about my clients from emails to contact info to different jobs in chronological order. I also like that those accounts are all separate and they are all able to be linked and unlinked from one opportunity or contact to another. Also, as sales people we switch accounts often and to have the ease to pick up right where the other person left off is perfect. I dislike the number of tabs and modules. There has to be another way to clean this system up so that there aren't 50 different ways to get to the same thing. It can be confusing when navigating the system. There should be a way to stream line the information and then place it in the correct sections. Test to be sure that this system is right for your company. Trial and error is best. Organization and communication between employees. Everyone is able to stay on the same page about client updates. Our company is growing everyday and the comments and information left in v-tiger to communicate to other people is truly helpful when show a new dog old tricks. I cannot say that I dislike anything to date while we have been trialling this software, I believe the system in place is perfect least for now keep everything the way it is. "Simple, customizable and Useful! " It is really simple and customizable CRM Tool I try a lot of them and vTiger is the Best Cost-Effective Option, you can personalize the tool for your needs and customize the look and feel of your quotes for example, another great tool is that you can create your own personalized modules with the info that is created in vTiger. You can actually see what did you sell to your clients, what did you offer, and a lot of important information to take decisions on the enterprise like Anual Revenue, the power is that you have a big database so with reports you can see everything you want! "Easy, efficient and reliable CRM for both staff and customers. " I really like the fact that the system can be easily personalised to suit the needs of each individual business. The system can be adapted to the needs of individual businesses and the support team is always on hand to make changes to the system. This system is great for the management as we can control each individual staff using there own profile and see what work they are carrying out and correct mistake and carry out disciplinary procedure based on the comments in the VT. I have to also praise the time in which the customer service replies as being very efficient. This system acts in all roles of the business and is continually improving. I dislike the fac that not all of the things in the system that I wanted to be adapted to suit our company can be actually undertaken. For example I have requested to divide the number in my Invoice under to individuals operating companies and this is not possible. I have also requested that full date shows in notes and this again can not be changed. Its those little things that sometimes can make me unhappy. Also on the down time the system to be personalised needs took us very long time to complete but the final result benefit us in the ability to service increased number of customers which make us very competitive on the market. I would recommend patience in setting up the VT AIO because this system is better then others on the market as basically it provides you with number of features which means that instead of looking for few different system for each one of them to do its own job you can have a system that does it all in one. This is the type of system that you need to put some time into but when you create the right leads the system can grow with you increasing your financial efficiency. Our system is used in all aspects of our business. Firstly we use the system to sign up all our customers to our personalised database. Further we use the system to create individual contract for our clients including verification them through there ID and holdings there data on the secure server. We also use the system to Invoice the clients and set up there individuals cases in which we assist them and namely this being the legal translation services. Vtiger allows us to control the areas in which we need to improve and to see not only our case loads but also see which client have or have not paid. Further Vtiger allows us to undertake marketing campaigns by post, messages or by e-mail. The using of this could be useful for sales rep to plan bulk emails and don't have to send individual emails to customers. Try this, and try others; you'll certainly decide for Vtiger. I can bet it. Managing the full cycle of sales, including reporting and lead generation. The benefits are such improvement in the productivity of the sales area, increasing the volume of clients contacted, the number of closed deals. "CLoud based CRM for everyone"
sales planing and automation, from leads development, sales process, post sales, support, help desk for internal and external customer, projects, case studies, and renewals. collaboration across the teams from support, finance, quoting, purchases and approvals. "Open source and complete package of functionalities"
-alert system is what i don't like here. It should be a reminder rather than a mail for the task that i have schedule for client or other prospects. -there could be some more widgets added for incorporate all the necessary details at once. Vtiger CRM is highly configurable to meet the need of your business. however, the over customization can become the problem later to back on the path again! With Vtiger CRM and our project management tool, we try to sustain our good engagement with our clients. Other then that there are many good updated in which Vtiger team has wither optimized or included the necessary features in it. * We monitor all Vtiger All-In-One CRM reviews to prevent fraudulent reviews and keep review quality high. We do not post reviews by company employees or direct competitors. Validated reviews require the user to submit a screenshot of the product containing their user ID, in order to verify a user is an actual user of the product. Hi there! Are you looking to implement a solution like Vtiger All-In-One CRM?